How many times does Eggman trick Knuckles? 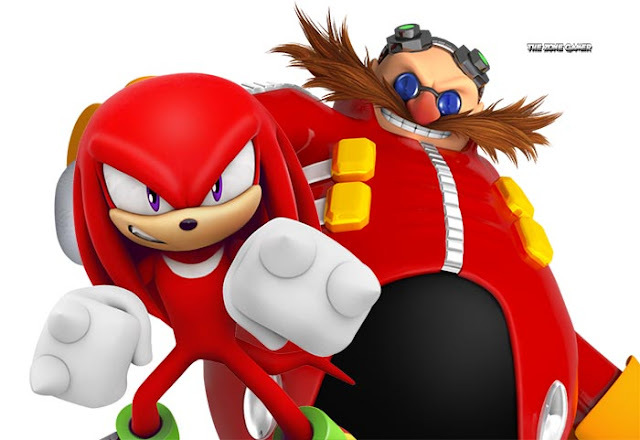 Sega's loveable oaf Knuckles The Echidna made his debut in Sonic the Hedgehog 3 as an impermanent and gullible associate to Doctor Eggman after the heinous scientist tricked him into believing that Sonic was a thief who wanted nothing more than to get his grubby hands on the Master Emerald, a scarce and large green gem. Knuckles crosses path with Sonic throughout the game but eventually Eggman's dishonestly is unveiled later in Sonic & Knuckles when he takes the Master Emerald and assaults Knuckles. It's in this game that we first see Eggman trick Knuckles but it wouldn't be the last time. Since that time Knuckles has since been deceived by Eggman on several other occasions, which has given Knuckles the reputation of being either gullible, naive or slow in the head. Now overall in Sega media which include the Sonic comics and TV series, Knuckles has been tricked by Doctor Eggman lots of times but let's keep our attention on the games. While Knuckles debut in Sonic 3 was the beginning of Eggman and Knuckles fraudulent relationship, it wasn't until Sonic Adventure that we saw it in glorious 3D, it's here we see Eggman once again trick Knuckles into thinking that Sonic is attempting to gather the Emerald shards for his own gain, the same shards that Eggman created by shattering the Master Emerald to free a monstrous beast called Chaos, this resolves in Knuckles once again attacking Sonic.